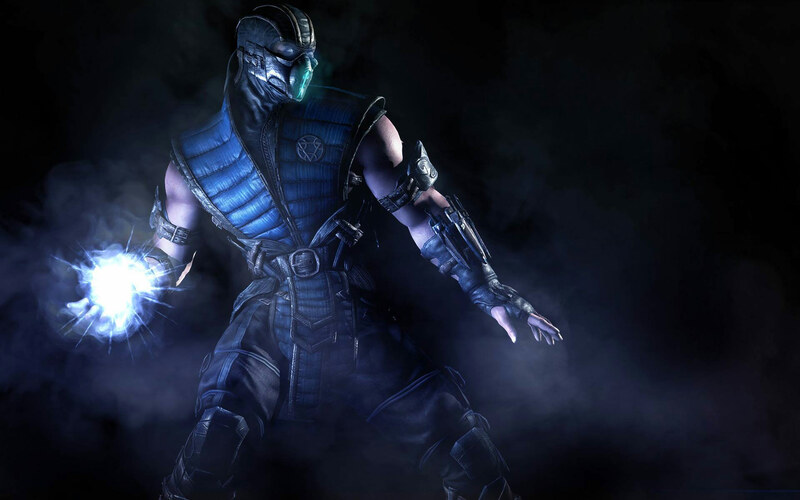 Mortal Kombat X Launch Impressions – Get Over Here! Taking a quick break from looking at Borderlands, today let’s look at the newly launched Mortal Kombat X. I spent a pretty good chunk of time playing yesterday – hitting one of the living towers, and mainly playing the story. It feels a lot like the previous entry, the reboot Mortal Kombat. That game was definitely needed after the series had gotten so bloated after Armageddon. The mechanics got a needed trimming down – every thing is much more simple, closer to the old days. There’s still some pretty nice depth in the combat – excuse me, Kombat – that will keep fighting game aficionados happy for a while. One of the main selling points of the series has always been the over-the-top violence and brutality of the moves. It gave the series a way of distinguishing itself away from other fighting games – in particular Street Fighter. While it’s not exactly the promoter’s first choice, it’s become a part of the series. And let me tell you, Netherrealm really took advantage of the current-gen console’s power to take the moves to that next ridiculous level. There’s still plenty of the humor that’s always been part of the series – in particular Cassie and Johnny Cage’s fatalities – but man, even those are just brutal. It’s good to know that there are still limits – and good to know that Mortal Kombat is still good at finding those limits. The story has been really engaging – it does take advantage of flashbacks to help bring in some more depth to the characters. 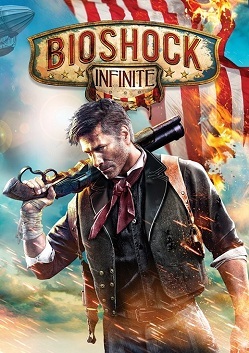 It’s got a bit more going on that previous games have – multiple factions, lots of duplicity and feels a lot more like a movie. Sure it’s not exactly groundbreaking, but it is a hell of a lot of fun. My biggest issue is – aside from the fact that I’m not particularly great at fighting games – is a classic fighting game one: M. Bisoning. For the unfamiliar, M. Bisoning is a term used when the computer will switch on the after burners after the first round. Sometimes the difficulty can spike a bit, but that’s not a game-breaker. It’s a fun story mode – the Quick Time Events in the cutscenes don’t feel forced, and actually add to them. 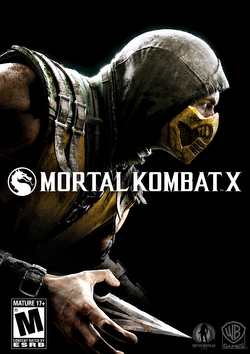 Overall, Mortal Kombat X is just what the series needed. It’s trimmed out a lot of the fat, but still added new features. New characters feel like they belong, and while I’d love to see some more classics added in, I’m pretty happy with the roster. The fighting feels like the series always has – it’s never been the smoothest, built more around short combos and special moves. But at the core, it’s a really fun game – it’s absolutely worth your time. There were a couple news pieces that are worth mentioning this week. So let’s just get right down to it. In a pretty big ruling this week, the FCC ruled in favor of net neutrality. While it might not immediately relate to games, it does have a lot of bearing on the future of the web. Essentially, service providers won’t be able to provide different quality of service based on deals. This helps keep the web free, and keeps the power in the consumers hands. This keeps providers like Time Warner from determining web traffic. The immediate gaming world impact isn’t super apparent, but it’s definitely there. This week Xbox announced the upcoming Games with Gold for March. This might be the best month of free games they’ve had in a long time. On the Xbox One we’ll get Rayman Legends; and on the Xbox 360, we get both Tomb Raider and BioShock: Infinite. 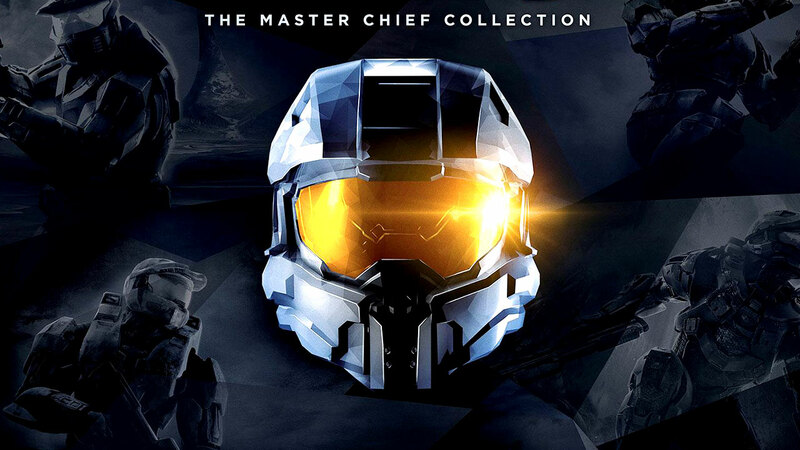 If you haven’t picked up either 360 title, somehow, you really owe it to yourself to pick them up. They are both fantastic games. And on top of that, Xbox also announced that in April they will offer double the amount of free games. They haven’t announced exactly which games, but that does open up a good chance for some more great games. This week on the Netherrealm livestream they showed off the return of Brutalities. The big thing that I’m looking forward to is that Brutalities don’t require huge strings of button inputs. That said though, they definitely aren’t any less brutal than the old ones. It looks like a lot of them are based around special moves, which makes them easier to put into combos. They also said that there is going to be over 100 different Brutalities. Mortal Kombat X is shaping up to be a pretty damn awesome game for April. A Quick Look At Upcoming Limited Editions – Are They Worth the Money? Earlier this week, WB Games announced the special editions for April’s Mortal Kombat X. I recently talked a bit about my issues with the pre-order incentives for that same game, but today I want to focus exclusively on the content that comes with special editions. 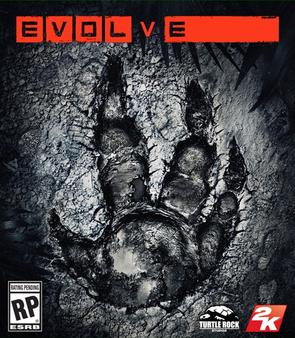 I’m starting to look ahead a bit at what games this year I might want to spring for the special editions on, so I thought I would share my thought process here. First off, let’s start with Mortal Kombat X. First off, there are a couple different limited editions out there – they vary by retailer. That said, I tend to only really look into ordering from Amazon or Gamestop, so let’s worry about those two places. Both places have the Coarse Limited edition – retailing at $150. It comes with the game, a special skin for Scorpion, along with the forthcoming DLC characters, and the big bit – a pretty intense statue of Scorpion along with its certificate of authenticity. Gamestop also has a limited edition exclusive to them running at $100, which comes with that DLC season pass, as well as a Cold War skin for Scorpion and exclusive Key Art. Amazon on the other hand is offering up the Import Kollectors Edition – at a massive $180 though. 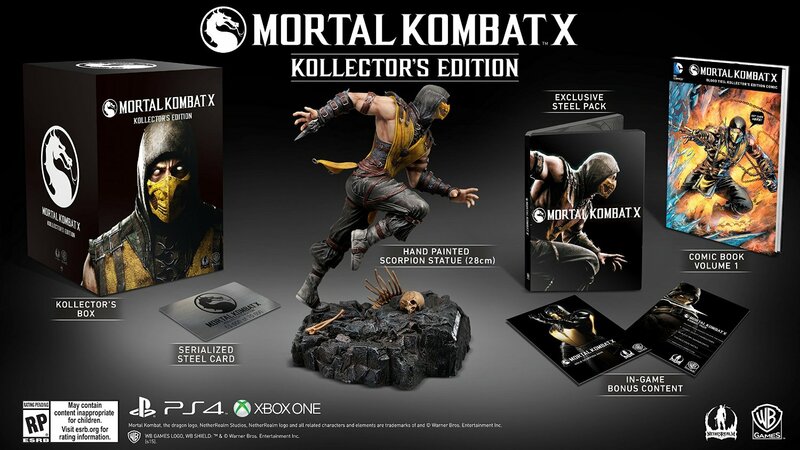 It comes with very similar content to the regular Kollectors edition – statue (a different one), gold Scorpion skin, DLC pass – but also has an exclusive comic and a steelbook case. All cool editions sure – the statue on the Import edition looks insane. But $180 is a hell of a lot to drop on a game and really only getting the statue and season pass as major content. At that price I would really expect to see more in-game content – even multiple skins would help justify it a bit. 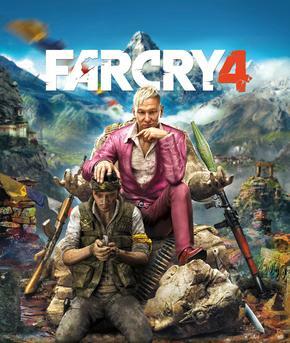 As it stands right now, I’m honestly leaning more towards just the standard edition. We’ll see what happens closer to April. 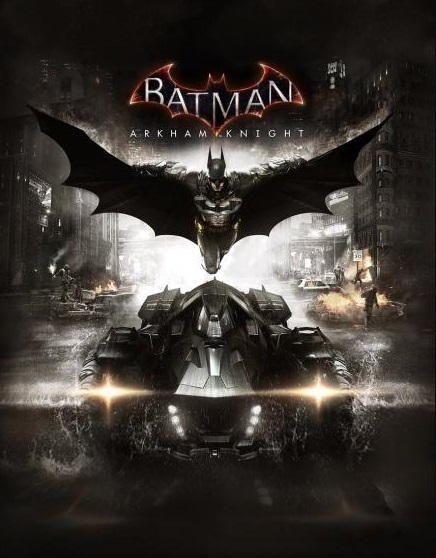 Moving on to the other big game that I’m looking at before E3 – and after which we’ll probably have a whole new slew of dates to look forward to – let’s look at the Batman: Arkham Knight editions. Unlike with Mortal Kombat, there’s no retailer exclusive deals to worry about, just how much money your spending. Like a lot of big releases these days, we have three editions – standard, a middle and a crazy expensive one. 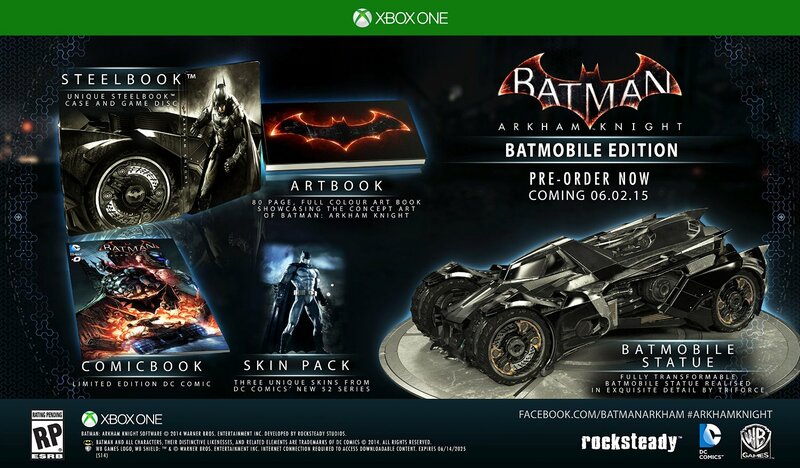 Let’s start at the top with the Batman: Arkham Knight Batmobile edition. There isn’t even a price listed on Amazon right now – but I recall seeing it priced right around $200 when they announced it. For that price you get a steelbook case, a comic, a pack of three skins for Batman, an 80-page artbook and the biggie – a huge, super detailed, fully transformable replica of the Batmobile. That model is easily the most detailed physical bonus I think I’ve ever seen – the scale is ridiculous. The problem is that price – if it is indeed $200, that’s a crazy amount to spend on a game – and not get a season pass for future content. Instead, let’s look at the middle edition – the Limited Edition. It’ll set you back $100, so still not cheap, but pretty standard these days for a special edition. 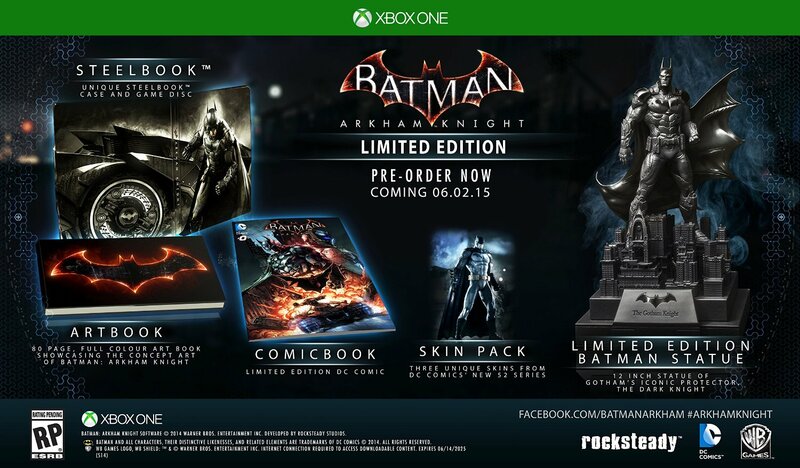 And it’s not exactly skimping on content – you still get the steelbook, comic, skin pack and the art book. The only change is the statue – instead of the crazy Batmobile, you are treated with a 12-inch statue of the Dark Knight. It might not be as over-the-top as the Batmobile, but I think it’s actually a really awesome piece. At $100, it’s a lot easier to justify too – I know that’s where I’m currently leaning. That’s the early, pre-E3 batch of limited editions – at least that are on my radar. They aren’t cheap, and both have some solid physical bits with them. At this point, I think the Arkham Knight options are better bets – even the Batmobile edition, thanks to that beautiful car it comes with. I’m sure that this fall will be stacked with some more crazy ones – after all we have a Call of Duty still to come, and the details for the Halo 5: Guardians editions still. That’s also not counting The Division, Rainbow Six: Siege and this year’s Assassin’s Creed. I think this year could be even better than last year was, so pick and choose your special editions carefully this time around.